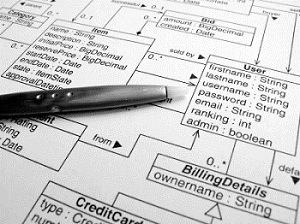 Do you need database design assistance to help organize your important business data? Are your customers frustrated because they can’t access their information from your web site? Maybe your staff is complaining that your business reporting system doesn’t provide critical information required for decision making? If your answer to any of these questions is yes, then you should consider relational database design services provided by The Integrated Solution Group, Inc. Our experienced database designers can help you evaluate your business requirements, catalog your data, and create a conceptual database design tailored to the actual requirements of your company. The ISG database design team will work directly with your staff (or independently if desired) to create a custom database design that will improve the accuracy and reliability of your reporting systems. If you have multiple databases that don’t currently share data, our integration specialists can provide a database integration strategy that will insure that you get your valuable data from those difficult systems. If you need web database development we can evaluate your requirements and provide a comprehensive web database design and development plan. Database design and database consulting are just two of the professional database services provided by The Integrated Solution Group. ISG also provides custom database programming services using the latest application development methodologies and web database design tools for SQL Server, MySQL, Oracle, and Access databases. Our development technologies include .NET versions 1 and 2, ASP.NET, and VB.NET to insure that your custom database application will achieve maximum performance. Our experienced database consultants will create a high performance relational database design and our database developers can work directly with your staff, or independently, to build your custom database software. ISG database integration personnel can also help you develop a database design to integrate existing custom software applications with your database driven eCommerce web site, or other non-database legacy products. We use a variety of integration tools and techniques to link disparate database products and even obsolete database software applications. Don’t give up on sharing valuable data until you have talked to us. If you are satisfied with your existing databases but feel that you have poor reporting or that your data is disorganized, we can help you design and develop a custom data warehouse system or data mining solution to improve the performance and accuracy or your reports and data queries. Contact ISG today for a free database design and custom database programming telephone consultation. Often defined as any disciplined approach to database software design that adheres to specified rules based on principles such as modularity, top-down design, data integrity, stepwise refinement of data, system structure, data security, and defined processing steps. While transactional database design relies heavily on structured, normalized database designs, alternative database designs, such as those adapted to data mining and data warehouse development, often break normalization rules in favor of high performance data reporting structures. Requirements analysis: A document that defines the actual requirements of the software including business rules, user interfaces, navigation, reporting, and software integration definitions. Process flow: ISG prefers to document process flow and use cases using UML and other advanced software definition tools. The resulting design shows each software requirement and its relationship to other components of the custom database application. Database definition: Before database development or database programming can start, it is important to have an accurate database design and a document listing actual data requirements, database table contents, index structures, and table relationships. A normalized database is essential for high reliability, high performance, database application development. The database design may also include stored procedure, database triggers, and referential integrity specifications. This document is especially important for custom database software development projects. User interface: A definition of the user interface requirements containing screen layouts, data elements, sequence of entry, and error reporting requirements. In a custom database software design the interface may also specify fonts, colors, and screen organization to create a seamless appearance when joined with other web pages or business software applications. Reporting requirements: The database design should also include details of reports and queries required by the software application. In addition to actual report content, should also contain special requirements such as print preview and any specialized output such as PDF, HTML, etc. Internet software applications may also contain special requirements for document transport and internet security. Contact ISG today to discuss your database design requirements. Using the latest UML (Unified Modeling Language) tools, our professional database designers can help you define and organize your business rules to provide a sound foundation for your database development project. Our database design consultants can construct a detailed database model to insure that your database design is compliant with current database normalization standards, thereby increasing overall database performance and reliability. ISG can also improve many existing database designs through the use of server side stored procedures and triggers, and we also provide custom database software development services.